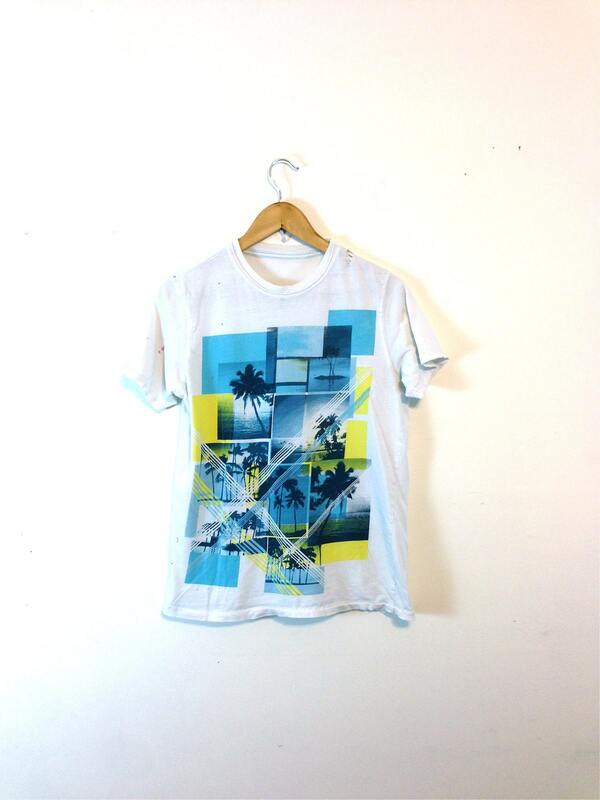 This is a totally rad thrashed vintage Surf tee! 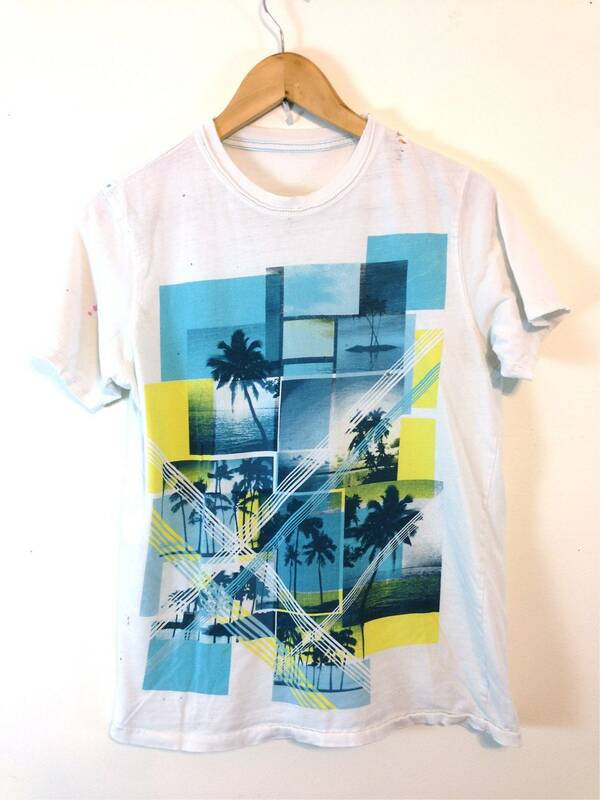 This t-shirt is white Cotton with a Hawaiian Surfer theme of Palm Trees. 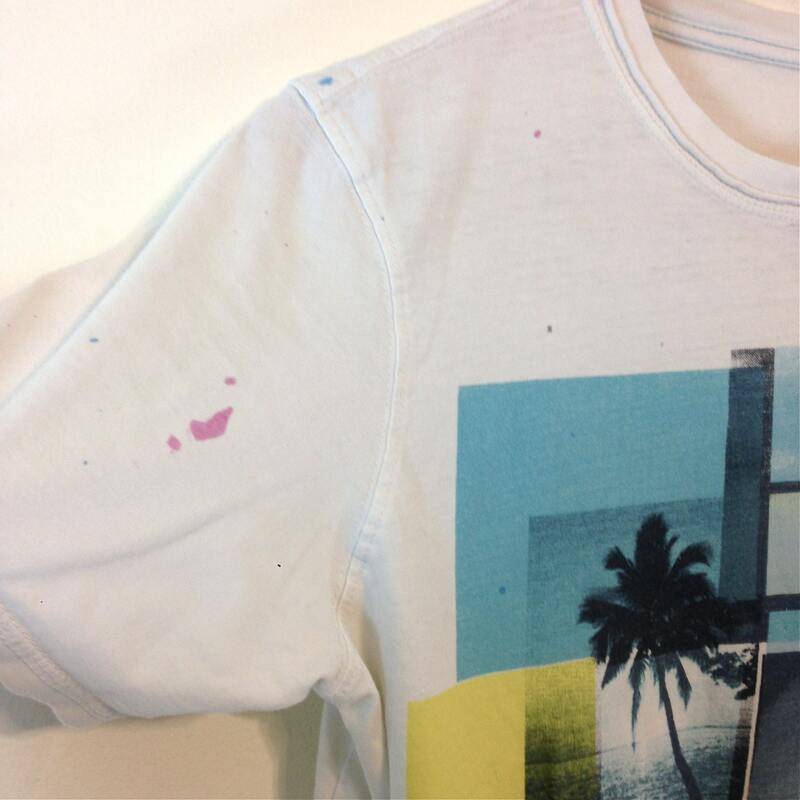 This distressed t-shirt is Faded, with holes and paint splatters and looks so cool! 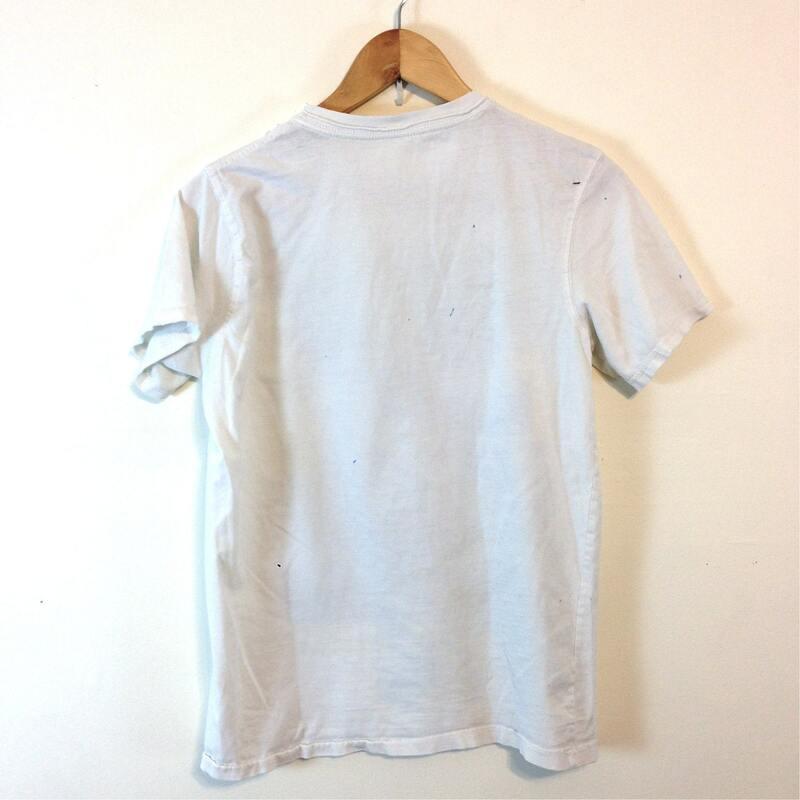 CONDITION: Faded and distressed to perfection! With holes and paint splatters!